oh yeah. We need to do an intervention with Ryan Reynolds and tell him to stop signing on for more film parts until Deadpool is wrapped, lol!! April 17, 2010. 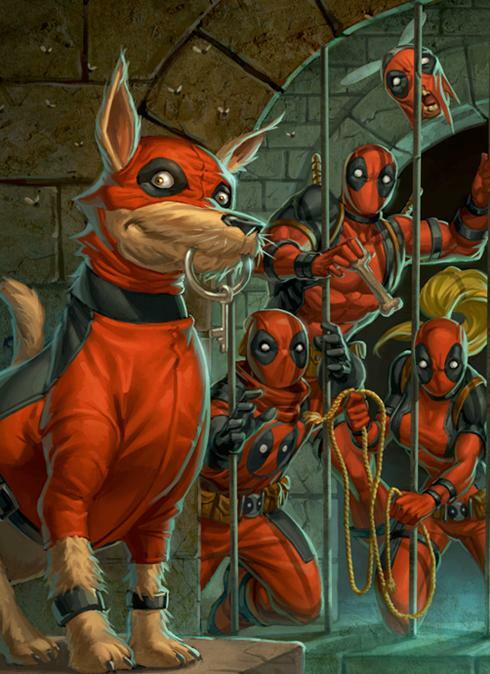 Tags: Axel Alonso, Deadpool, Deadpool & Cable and Deadpool Corps, Deadpool Team-Up, Deadpool Wondercon 2010, Deadpool: Merc with a Mouth, Dogpool, Headpool, Kidpool, Lady Deadpool, Marvel Comics, Nick Dragotta, Rob Liefeld, Ryan Reynolds Deadpool, Shawn Crystal, Wondercon 2010. Art, Entertainment, Fantasy, Fiction, Film, graphic art, Popular Culture, Saturday Morning Cartoons, Sci Fi, Suspense, Urban Fantasy. Comments off. LOVE the merc with the mouth…. Award season fever has affected everyone from armchair movie critics to taco-loving, world-renowned, wise-crackin’ assassins with healing factors and unnatural affinities for swords and grenades. When Deadpool falls asleep while watching the 82nd Annual Movie Film Awards, his bruised-too-many-times brain sends him to a slumberland plagued with dreams most bizaare! For your consideration, we present the finest Deadpool movie moments that never happened, courtesy of Marvel Super Heroes: What The–?! Watch Marvel Super Heroes: What The–?! Ep. 11 “Deadpool: For Your Consideration” now! March 7, 2010. Tags: Deadpool, deadpool for your consideration, MARVEL. Art, Entertainment, Fantasy, Fiction, Film, gaming, graphic art, Mystery, Popular Culture, Saturday Morning Cartoons, Sci Fi, Supernatural, Suspense, Urban Fantasy. Comments off. I can’t wait for this one!!! 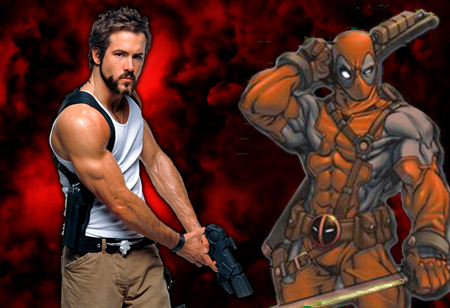 Our previous posts on Deadpool and Ryan Reynolds here. February 10, 2010. Tags: Deadpool, Deadpool movie, Deadpool update, Paul Wernick, Rhett Reese, Ryan Reynolds, Wolverine, X-Men, Zombieland. Celebrities, Entertainment, Fantasy, Fiction, Film, graphic art, Mystery, Popular Culture, Saturday Morning Cartoons, Sci Fi, Suspense, Urban Fantasy. Comments off. ‘Deadpool’ Update: Fox signs ‘Zombieland’ team to write script.. Awesome!!! Our previous posts on the Merc with a Mouth here. Our posts on Zombieland, including a ComicCon panel with the writers, here. 20th Century Fox is making progress with its “X-Men” spinoff, “Deadpool,” and has tapped “Zombieland” scribes Rhett Reese and Paul Wernick to pen the screenplay…….There is no timetable on the Marvel property, though Reynolds has a window after wrapping the “Green Lantern” this summer. Reynolds has been bulking up to play the DC Comics’ hero “Green Lantern,” which starts lensing next month. 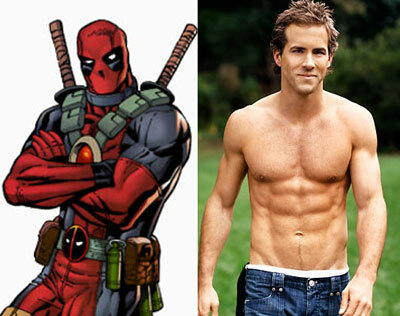 This means he would already be in superhero shape if the script for “Deadpool” is ready by summer. Reese and Wernick, who wrote “Zombieland,” will stay true to the mythology of “Deadpool” given that Reynolds is a huge fan and protector of the property. Reese and Wernick, high school friends who began collaborating in 2001, most recently sold the pitch “Earth vs. Moon” to Universal Pictures. The pair penned a draft of “Venom” for Sony/Marvel…. January 5, 2010. Tags: Deadpool, Deadpool movie updates, Lauren Shuler-Donner, MARVEL, Paul Wernick, Rhett Reese, Ryan Reynolds, writers for Deadpool, X-Men, Zombieland. Celebrities, Entertainment, Fantasy, Fiction, Film, gaming, graphic art, Popular Culture, Saturday Morning Cartoons, Sci Fi, Supernatural, Suspense, Urban Fantasy. Comments off. October 28, 2009. Tags: Astonishing X-Men Motion Comic, Deadpool, MARVEL, MARVEL COSTUME CONTEST, MARVELFEST 2009, Wolverine, X-Men, X-MEN MOTION COMIC PREMIERE LIVE. Art, Celebrities, Entertainment, Fantasy, Fiction, Film, graphic art, Horror, Mystery, Popular Culture, Saturday Morning Cartoons, Sci Fi, Supernatural, Suspense, Urban Fantasy. Comments off. …Shuler-Donner confirms Hugh Jackman will be headed to Japan to shoot on location for X-Men Origins: Wolverine 2, or whatever the title will eventually be. The comic book storyline centers on the clawed mutant falling for Mariko Yashida, the heiress to the Yakuza crime family. “Wolverine will be fighting in a different style to what we’ve seen before,” she said, indicating a battle between him and Mariko’s father, Shingen Yashida. It will involve “samurai, ninja, katana blades, different forms of martial arts — mano-a-mano, extreme fighting.” This plot also suggests a possible showdown with mutant supervillain Silver Samurai, but maybe I’m just stretching it. After all, who doesn’t want to see mutant ninjas?.. “I want to ignore the version of Deadpool that we saw in Wolverine and just start over again. Reboot it. Because this guy talks, obviously, and to muzzle him would be insane…. October 24, 2009. Tags: Deadpool, Deadpool movie update, Hugh Jackman, Lauren Shuler-Donner, Ryan Reynolds, Wolverine, Wolverine 2 movie update, X-Men movie update, X-Men Wolverine 2, X-Men: First Class. Art, Celebrities, Entertainment, Fantasy, Fiction, Film, graphic art, Horror, Mystery, Popular Culture, Saturday Morning Cartoons, Sci Fi, Supernatural, Suspense. 2 comments. You’ve been a fan of Deadpool for a long time. How much did you want the part? I’ve been a fan of Deadpool for almost a decade. I was first introduced to it by my brother. Then I gradually followed it for a few years after that. I saw one of the comics a few years ago where Deadpool referred to himself as a cross between a Sharpe and Ryan Reynolds. I just thought that was the coolest thing I had ever heard. So when I heard about the movie I knew I was going to do the film, even if I had to kill some studio head’s pets. A few years ago I was talking to Fox about possibly doing a Deadpool standalone movie. I think they found it to be a little too complicated to try to tackle. Specifically because he’s a cult favorite. He’s not a mainstream character. So what better way to introduce him than in this movie? So they shot the whole film, and in the reshoots they shot me for the first time. This was why people thought they were adding more Deadpool, but they weren’t, I hadn’t shot any footage up to that point because I was too busy making these other films. Which are good problems to have. Any idea who wrote that line about you in the comic? You know, I don’t know who wrote that particular issue. It’s had multiple writers over the years. I’ve got the panel on my wall in a frame, maybe I should find out. And thank him. Or her. You never know, equal opportunity. You take on many diverse roles. How do you decide what you’re going to do? I’ve been lucky. I can go from one genre to another and it’s not a huge issue. People used to do that. Jimmy Stewart, Cary Grant, they’d jump all over the place. I feel Hugh does that pretty well. He’s as comfortable on a Broadway stage as he is with claws and a tank top. Mostly I just consider myself lucky. I don’t have a specific rhyme or reason as to why I think it is, but it’s probably because I haven’t had astronomical success in one genre. If I had done Spider-Man, it would probably be tougher to jump into Adventureland or something. Do you have a preference towards a specific type of film? No. I love movies, man. Totally. In some ways it’s easier to do something like this than it is a comedy. Because for a comedy I feel like you need a whole orchestra around you. There’s a timing, a musicality to it. It’s a science, and there’s something very interesting about that. But this is just fun. They taped your mouth up at the end, right? Yeah, I wasn’t happy about that. But I’ll bet everyone else was! I think so! It certainly served the story. But that is where they detoured a bit from the origins. I mean, Deadpool is the ‘Merc with the Mouth.’ It took a long time. It took four hours just to get it on, and four more hours to get it off. For some people, that’s an entire work day. People that wear loafers, typically. But it sucked to eat lunch and that sort of thing. I would snort a steak. I would just lay it down like it was the 80’s and go for it. No, we’d have to cut it open and it required a PA to feed it to me. How many days of shooting was that? In the Deadpool makeup it was a couple of weeks. My skin was not loving that after a while. It’s a pretty awful experience getting that on and off each day. If we ever did a Deadpool movie, the mask would relieve some of that issue, but I would never want to be in that makeup more than three days in a row. Yesterday, more X-film news was spread via twitter thanks to Rob Liefeld, the co-creator of Marvel Comics’ Deadpool, including the fact that the “Merc with a Mouth” will appear in costume and that Ryan Reynolds, who recently signed on to play Green Lantern in a competing production, will be revisiting his X-Men Origins: Wolverine role of Wade “Deadpool” Wilson in the solo film. Great Deadpool movie meeting! Lauren Schuler Donner and her team are headed in the right direction! Deadpool movie checklist- DP in costume-check! Breaking 4th wall-check! Loads of killing-double check! Deadpool movie- YES! Ryan Reynolds is on board!!! Liefeld also broke the news that another one of his X-Men creations, Cable, might receive his big screen debut. Also excited to discuss possibilities of Cable in future X-films!!! October 10, 2009. Tags: Cable, Deadpool, Deadpool movie, Deadpool Ryan Reynolds workout, Green Lantern, MARVEL, Marvel Comics, Marvel Entertainment, Rob Liefeld, Ryan Reynolds, Wade Wilson, Wolverine, X-Men, X-Men Origins: Wolverine. Art, Celebrities, Entertainment, Fantasy, Fiction, Film, gaming, graphic art, Popular Culture, Saturday Morning Cartoons, Sci Fi, Supernatural, Suspense, Warner Bros.. 1 comment. When Hugh Jackman told MTV News that some exciting people were attached to the “X-Men Origins: Wolverine” sequel, we didn’t expect to find out about any of them this quickly—but some big “Wolverine 2” news has hit the wire! …In a repeat of their “Wolverine” pairing, Jackman will produce the sequel alongside Lauren Shuler Donner. No stranger to the X-Men universe, McQuarrie was one of several uncredited screenwriters on the 2000 “X-Men” film, which he worked on alongside his frequent collaborator, director Bryan Singer. While McQuarrie’s attachment is certainly interesting on its own, what it could mean about a potential return to the franchise for Singer is also worth contemplating…. Will Bryan Singer be back as well? …trades are abuzz with news that Hugh Jackman will return (and produce) for a second movie about comic-book character Wolverine…. The film ended with one of two teasers, depending on your theater: One showed Deadpool’s survival, and the other followed Wolvie to Japan, echoing a famous storyline in the comic books from the 1980s. August 14, 2009. Tags: Bryan Singer, Chris McQuarrie, Deadpool, Hugh Jackman, The Usual Suspects, Wolverine Sequel, X-Men, X-Men Wolverine Sequel. Art, Entertainment, Fantasy, Film, gaming, graphic art, Popular Culture, Saturday Morning Cartoons, Sci Fi, Warner Bros.. Comments off.